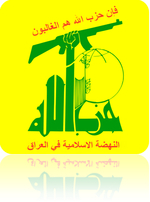 Jaysh al-Mukhtar is a Shi'a militant group led by Wathiq al-Battat, who also leads 'Hezbollah in Iraq.' Battat openly identifies himself as a loyalist to Iran, and his militia has fired mortar rounds at Saudi Arabia. Jaysh al-Mukhtar was first announced in February 2013 following the outbreak of Sunni Arab protests, ostensibly to support the government and protect Iraqi Shi'a. Though Battat has a tendency to grandiose exaggeration, Jaysh al-Mukhtar has since been playing a real role in fighting against the renewed Sunni Arab insurgency in Iraq.